View Mimi's featured properties in Barrington. Property Finder login/New User registration. Feel free to contact me using the form here, or directly by phone or email with any questions. A Barrington resident for over 40 years, Mimi has participated in Barrington's evolution from a small country town into a growing community offering numerous housing options for its residents. Mimi is experienced in all matters of real estate available in Barrington from vintage Village homes, resort-like town homes, new construction, country estates and horse properties. During her 20+ years of sustained success in real estate she has assisted over 350 families with the sale or purchase of their home, exceeding a sales volume of $200 million. Every deal is different and Mimi brings her energy and sharp business skills to her client's unique needs and situations with the goal of complete satisfaction. In addition, her knowledge of the marketplace makes her a frequent resource for her peers. Mimi has received numerous sales awards and was inducted into RE/MAX's prestigious 100% Club, Chairman's Club and Hall of Fame. Her 90% rate of repeat and/or referral business is one of her highest achievements. She also holds a degree in finance from Purdue University and an MBA from Northwestern University, Kellogg Graduate School of Management. 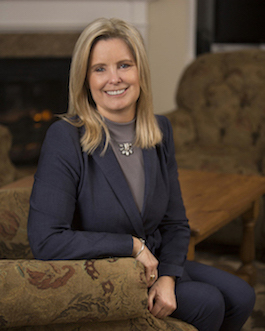 Faithful dedication, loyalty, and service to her clients and to the community have allowed Mimi to become one of the top producing and best known residential Realtors in the Barrington area. I have worked with Mimi to purchase a past and now my current home. Mimi is excellent to work with! She takes the time to get to know her clients and find out their tastes and preferences. Her many years of experience allows her to give very good advice on homes. She works with equally excellent colleagues who help to make the home purchase process as low stress as possible. Mimi is also very accommodating to her clients' busy schedules and is always available to guide you through the process. Mimi is excellent, I highly recommend working with her when you are looking to find your next home!